The program will select 15-20 startups in every batch. All the startups will receive $50,000 (each) from 500’s MENA-dedicated fund 500 Falcons. The four-month (sixteen-week to be precise) program will bring experts from 500’s global team of partners, mentors and entrepreneurs to work with the startups and help them accelerate their development through growth hacking, data driven sales techniques, and tailored advice. In addition to mentorship and investment, the startups will also receive assistance in incorporating their businesses in Saudi, if they wish to, and will have access to a space throughout the program. And most importantly, the participating startups will have access to 500’s wide network all across the world. The statement or the website does not specify the amount of equity the program will take from startups but we’ve confirmed that that it’s not equity-free money. The program does not cover the accommodation but organizers could arrange for discounted apartments for participants, according to the FAQs on Misk 500 MENA’s website. The website or statement also does not contain any information about flights or visa, which suggest that they’ll also have to be taken care of by the participants themselves. 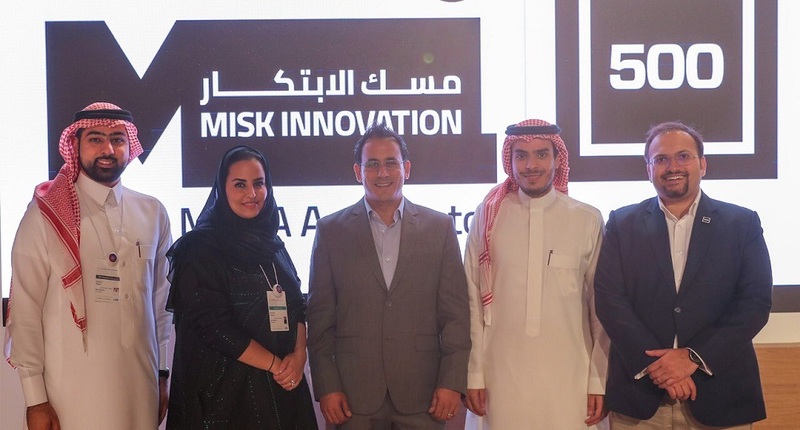 For those of you who don’t know, Misk Innovation is an initiative of Misk Foundation, a non-profit philanthropic foundation established by Saudi Crown Prince Mohammed bin Salman, aiming to raise the level of training qualifications for youth and enable them to achieve the highest international standards for training in the areas of technology and innovation. So, the applications are open until December 15th. The screening process and interviews will last until December 30th. And the program will commence from January 27th, to run until demo day on May 15th. The program is broken down into three modules with two-week breaks between them. The founders are expected to fully participate in all aspects of the program, with a maximum of two team members allowed to take part at any given time. You can learn more about it here and apply here.